I don't really have much to add - nothing finished, nothing really purchased. I did buy this at an estate sale. 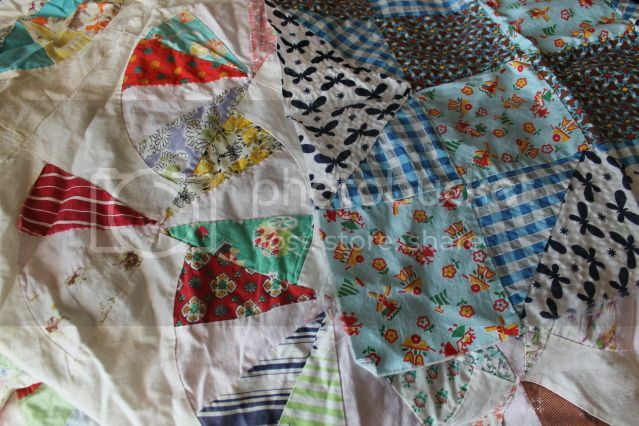 My great-grandmother's quilt has a few pieces that are shredded, so I've been on the lookout for replacements. These might not quite fit the era, but I think they'll blend pretty well. 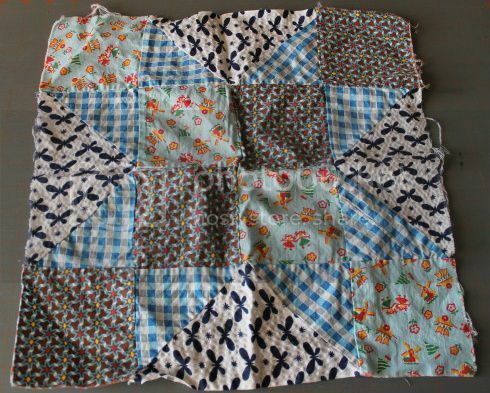 Plus since it's only one block, I don't feel guilty tearing apart an antique. There are a few flowers that need to be added, and I'm sure the birds are looking at something... 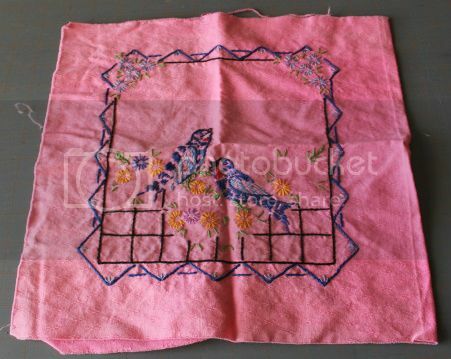 Anyone embroider and want it? There's enough fabric for the front and back of a small pillow. 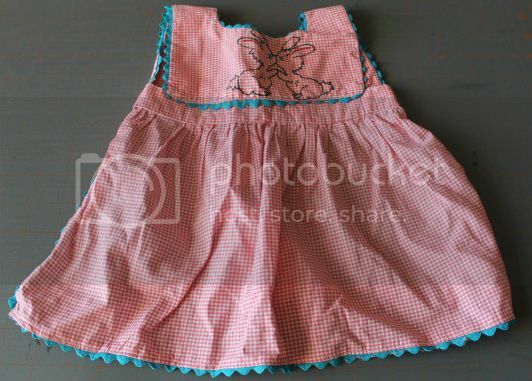 And this cute little apron. I'm not sure if the bunnies are supposed to have been embroidered? They seem a little out of place in black. I might play around with them before sending this to my younger niece.